Keep in mind that we also work in a very dry environment. If you work in a humid environment this could also have an impact on your sugar flowers. Here are some of Ron’s sugar flowers and buds in various states of drying. They must be completely dry before stored. 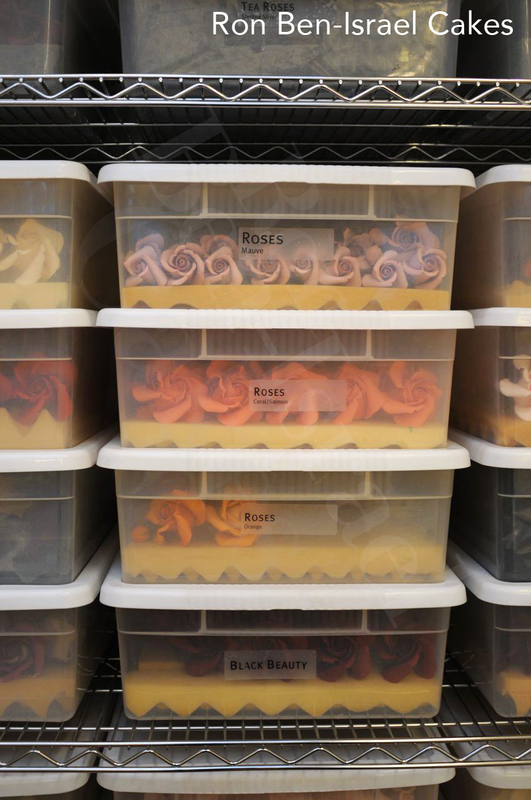 Once the sugar flowers are completely dry, they are stored in plastic container. Ron tries to keep his kitchen and production room as cool and dry as possible.